Runewars continues to soldier on, what with getting new soldier minis at a fairly regular basis. 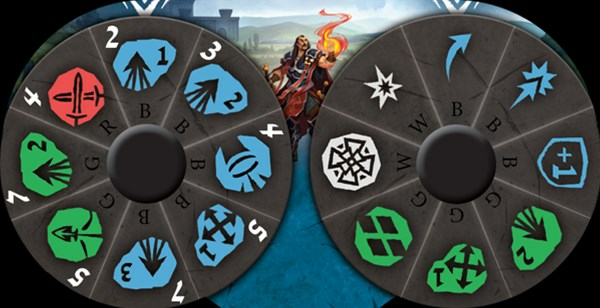 In this preview, we get a look at a new hero for the human faction. 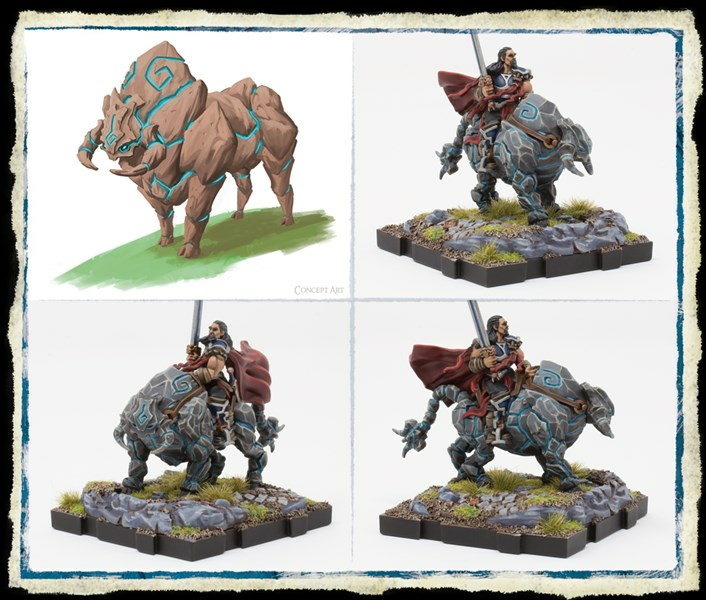 It's Baron Zachareth of Carthridge, and he hates walking into battle, so he got himself a golem bull to ride in on. Can't say that's a bad choice, really. In the Land of Steel, the armies of the Daqan Lords are known for their honor and nobility. Yet even among their own ranks, there stand a few figures who challenge the traditions of chivalry. While some would call such rejection of tradition innovative, others see it as dangerous. 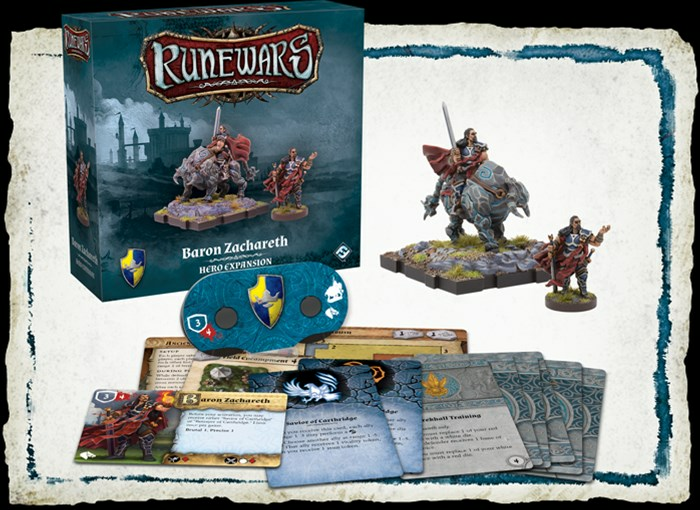 Baron Zachareth of Cathridge is feared on the battlefield for his devious stratagems and arcane mastery, while at council his true ambitions remain hidden behind his charismatic presence and silver tongue. 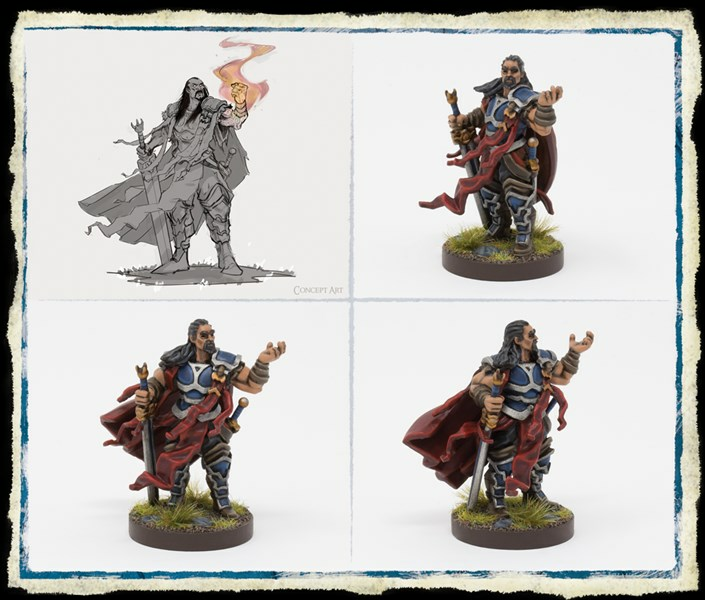 Today, we're pleased to offer you a closer look at this divisive figure by previewing the Baron Zachareth Hero Expansion for Runewars Miniatures Game—now available for pre-order at your local retailer or online through our website!